No stamping in this one today. I'm back to playing with textures and obsessing with my nail foils. 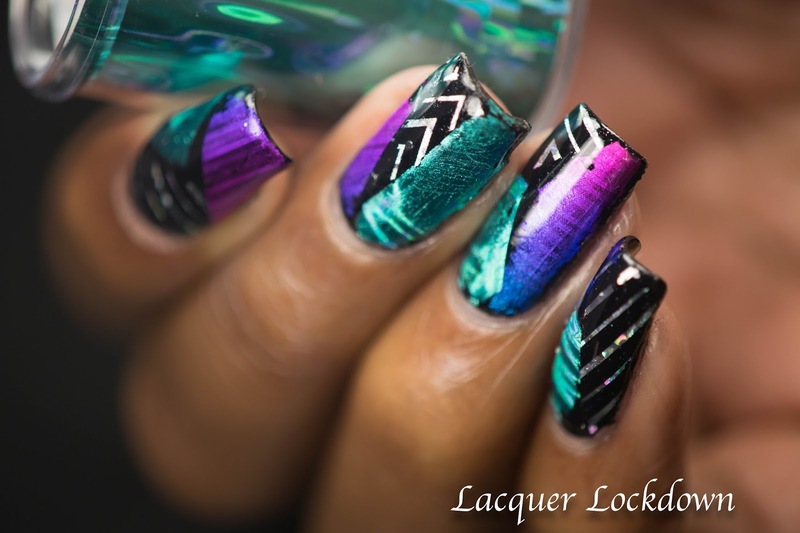 Right now there are so many cool foil manis out there its crazy. I'm seeing lot of interesting things happening with foils and mattes. So I thought I might take my turn with playing about with foils at well and the result was this scattered shredded creation below! This is three separate foils that I sort of mixed and matched based on a short of mixed color story. For those that read my blog or follow my art regularly you may remember this gradient foil. 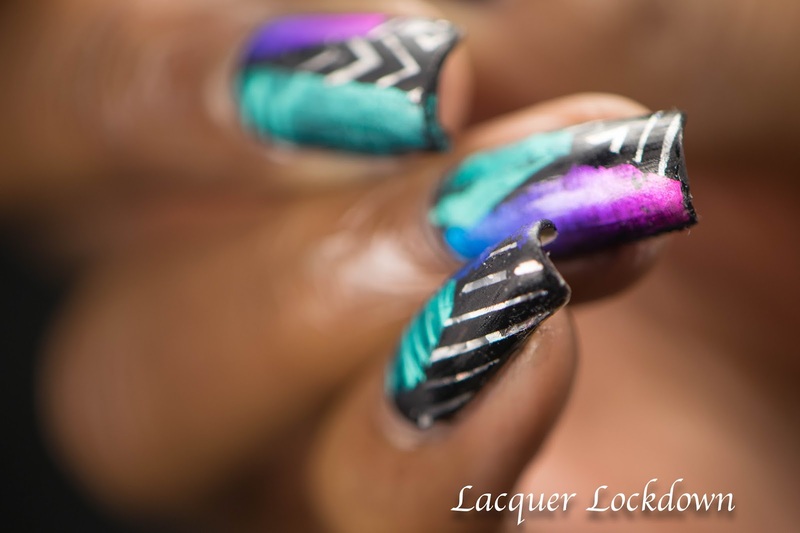 It's gorgeous and this time I combined it with this teal holo foil. All of this is meant to be very textured. What I find interesting is what happens to these foils when they become mattified. Somehow they become even more visually compelling. See what I mean pretty cool right? It does kind of harsh down the holo though. I think this technique will likely work better with solid prints such as the gradient and those which have a slight texture to their print. So I'll leave it here. I really like this glossy and matte. 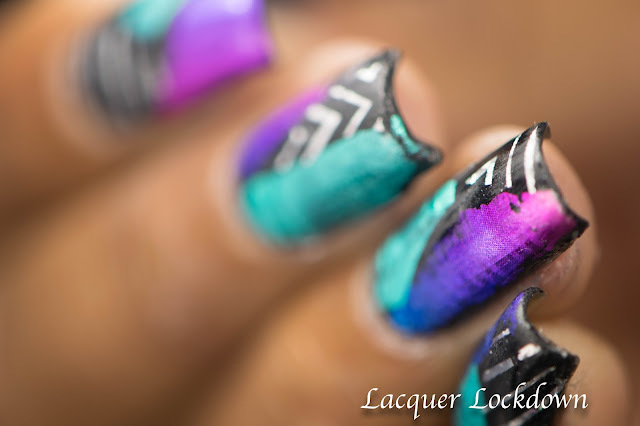 Next I'd like to take this a step further and also add some layered stamping to this mix. The end result here was shiny and fantastic! So thoughts? This was pretty easy and simple. 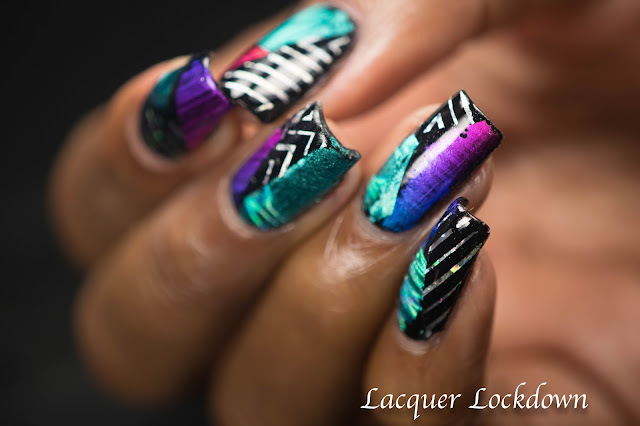 Depending on the foil you use or the placement you can really change the way this nail art looks. 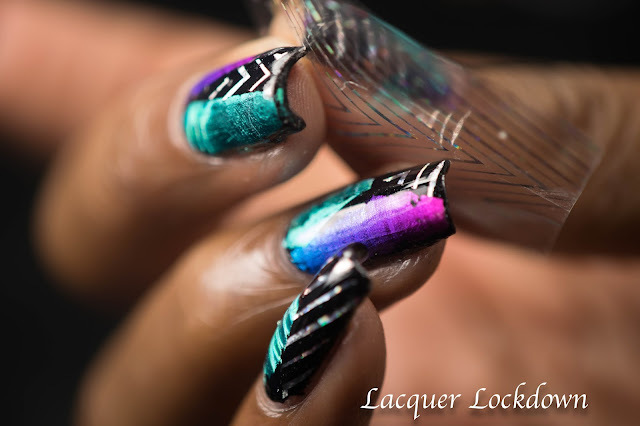 Don't forget using foils takes some finessing. If you haven't read my post on preserving your foils you can read up or watch my tutorial on that here. 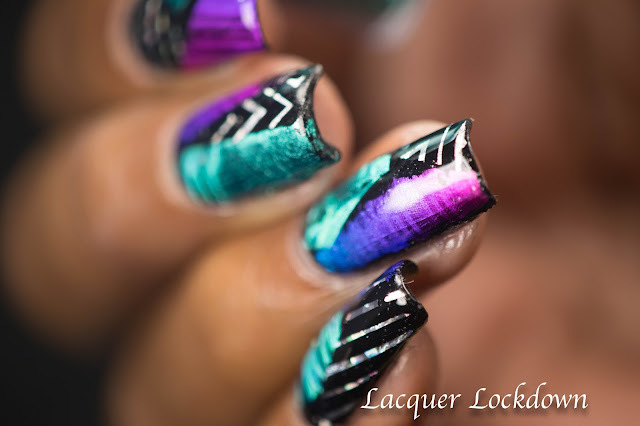 Have any of you been working with foils lately or seen some of these cool matted foil manis? Do tell and thanks for reading. I'll see you next post!